If you hear the words, “that’s an exquisite piece of jade”, what’s the first image that comes to your mind? You may be picturing an oriental jade dragon sculpture, or perhaps your grandmother’s jade rings and bangles. 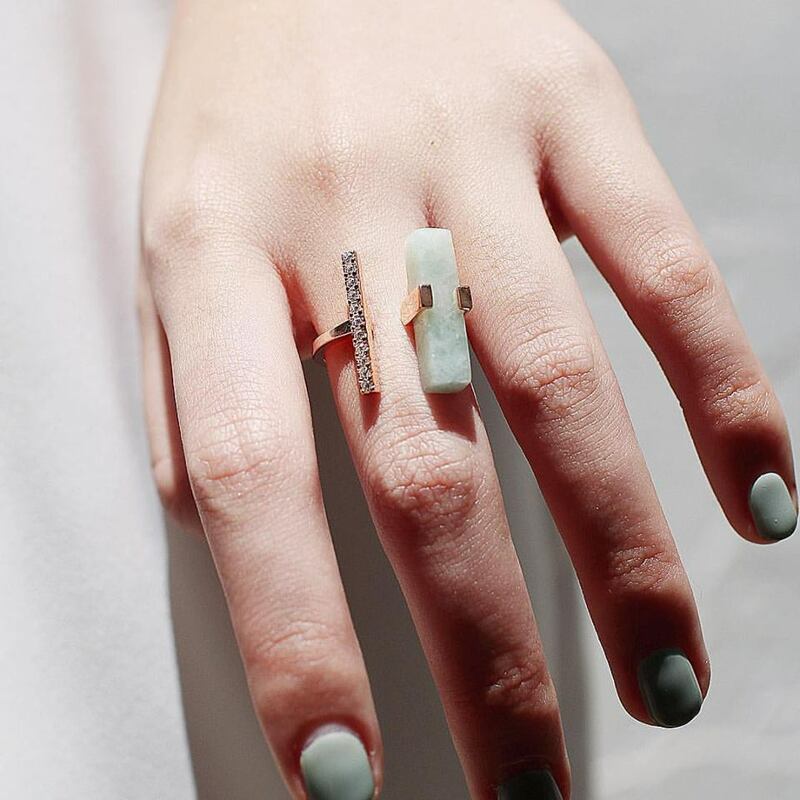 Once, young women would never be caught wearing something so ancient and matronly, but one jewellery designer revived the stone’s modern appeal, and now her brand, Gen.K Jewelry, sees customers ranging from their 20s to 50s buying jade pieces. 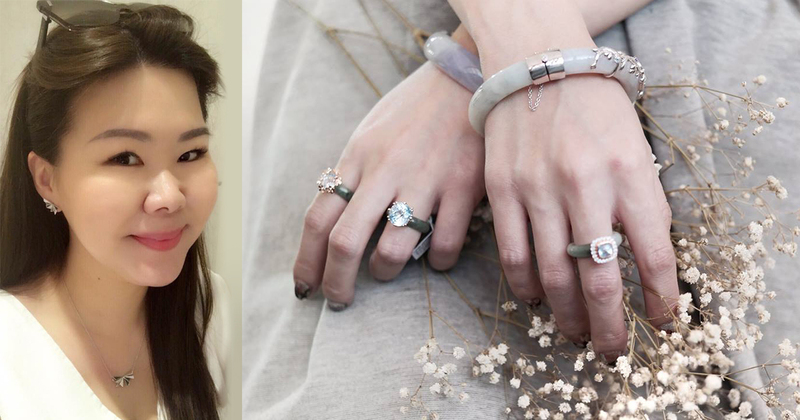 37-year-old Genevie Yeo first fell in love with the classic gemstone when her mother bestowed a pair of jade rings to her and her sister. She started out learning how to craft jewellery as a hobby, until her passion pushed her to take the plunge into entrepreneurship and open her own jewellery shop. Genevie had been fond of intricate jewellery since she was younger. While other girls would deck out in mass-market accessories, she preferred quirky, one-of-a-kind pieces that looked ‘different’. After picking up basic jewellery making from her sister who had studied fine jewellery, she practised and taught herself, and also attended private classes to improve her skills and knowledge. When Genevie first set up Gen.K Jewelry in 2014, she had intended to leave her job as an accounts specialist at Hewlett-Packard. However, upon receiving a better offer to work at Apple, she took up the new job and only made jewellery in her free time. Back then, she sold simple but timeless handmade pieces at craft bazaars like Public Garden Consumer Trade Show and began to gain some supporters. After just 9 months at Apple, she could no longer stand keeping her passion on the sidelines. 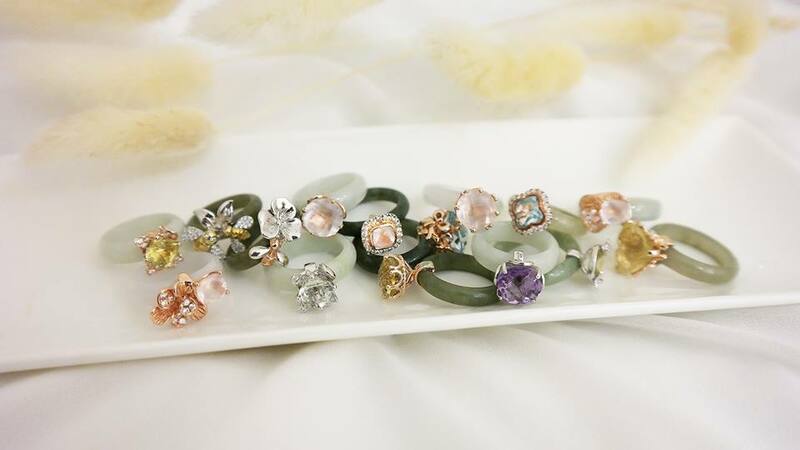 Genevie quit her job once again to fully invest in Gen.K Jewelry, and never looked back. Having hustled in large corporations, she said she grew tired of running the rat race, and found that life was about more than just climbing the corporate ladder. I wanted to be carefree and take charge of my life through expressing creativity. 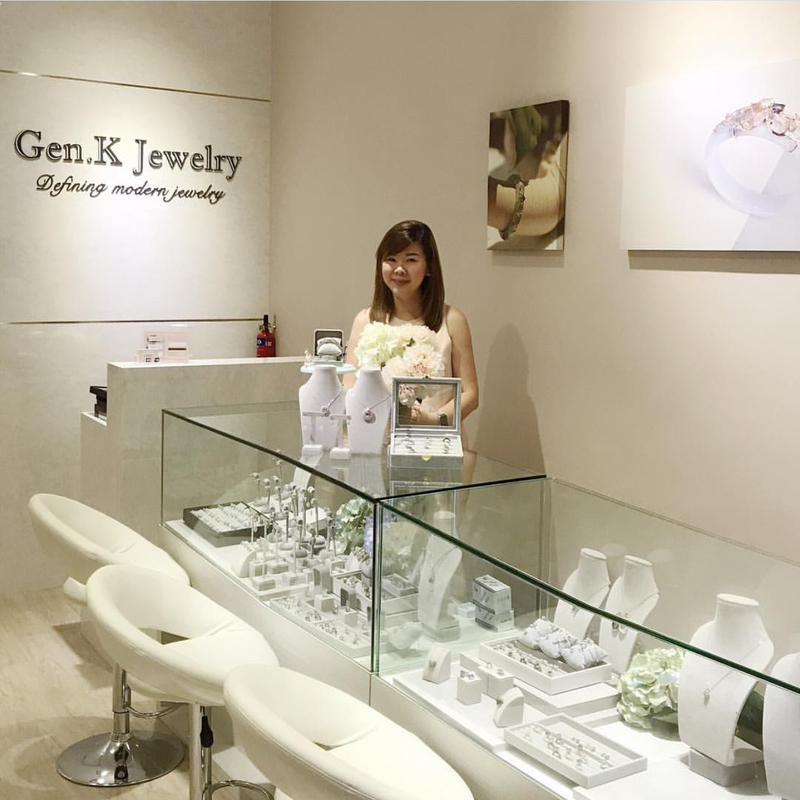 In 2015, Gen.K Jewelry began its retail journey with a shared space in a shophouse at Seah Street. Since she had gathered a few fans, Genevie felt that she had to develop finer designs to satisfy them better. She employed the expertise of professional craftsmen to help her materialise her products, so that she could focus on creating designs. Genevie shared that quiet moments of ‘people watching’ play a part in her creative process. One design that was birthed through her observations of others features a bee flying around a jade ball. “It encompasses and reflects how we lead our daily lives, [going] round and round,” she said. 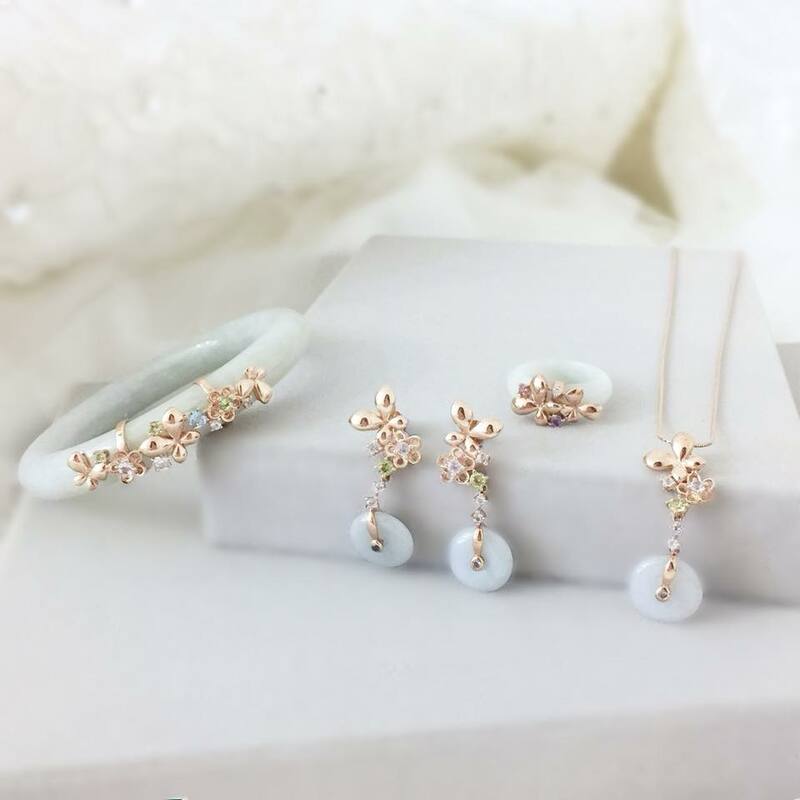 Genevie also draws much of her inspiration from nature and relationships, aiming to bring out the gentle and ethereal beauty of jade. When she had her first child, she was inspired to design a pair of ‘mother and child’ bees resting together upon a jade ring. Genevie was used to having a stable income at companies like Apple that offered her high remuneration. So it’s no doubt that financial stability was a source of worry when she took a dive into her own business. I took small steady steps and invested carefully on what was deemed necessary for the growth of the brand. As she ensured that the business would sustain itself, her careful decisions reaped exponential growth by the end of the second year. 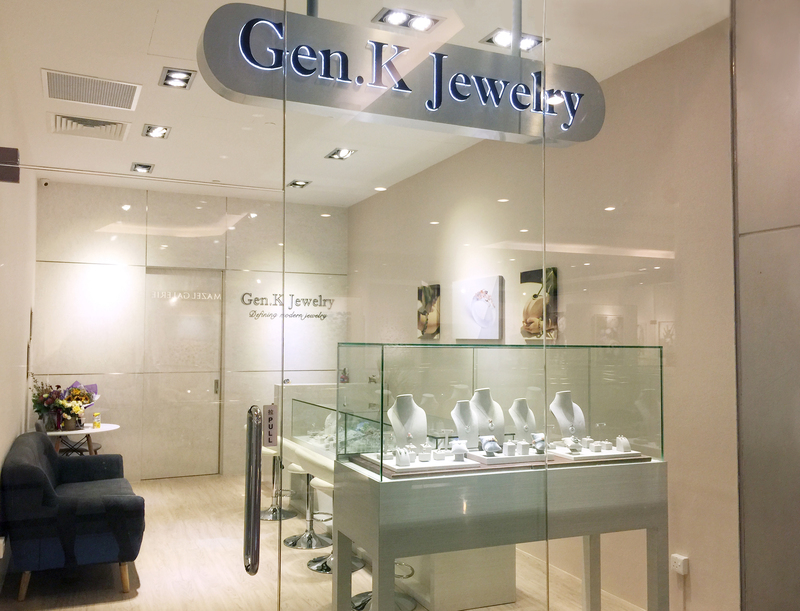 In its third year in business, Gen.K Jewelry was able to shift into a new, larger home, taking up its own shop space in Pacific Plaza. 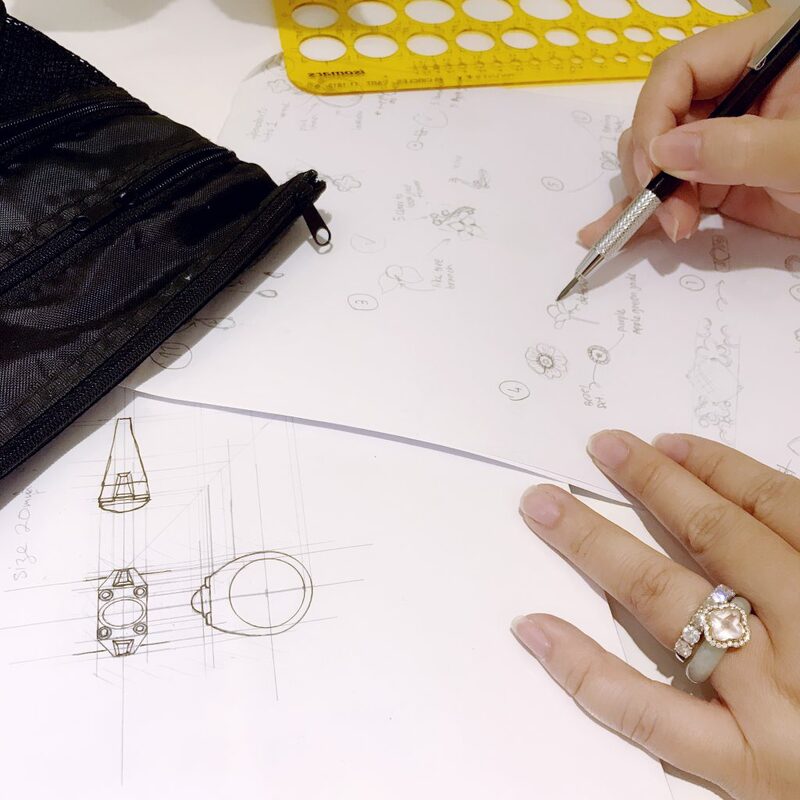 As the brand celebrates its fourth anniversary next month, Genevie says one of her greatest joys till date is having her company featured in local and international publications, like The Straits Times and Hong Kong Jewellery Magazine. 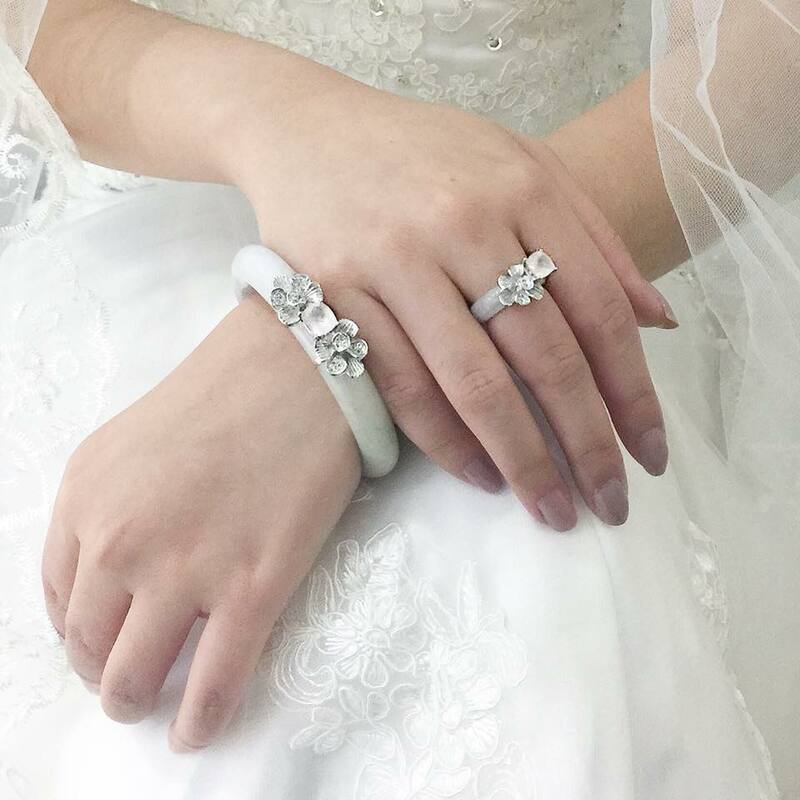 Aside from daily jewellery, Gen.K has also launched two sets of bridal jewellery. Genevie explains that si dian jin (四点金) is a Teochew tradition in which the groom’s family gifts the bride four pieces of solid gold jewellery, usually a pair of earrings, a necklace, a bracelet or bangle, and a ring, representing their blessings for the newlyweds. “Modern couples now choose to opt for other materials for their si dian jin, resulting in a rather wide price range, from two or three thousand dollars to tens of thousands of dollars,” she said. 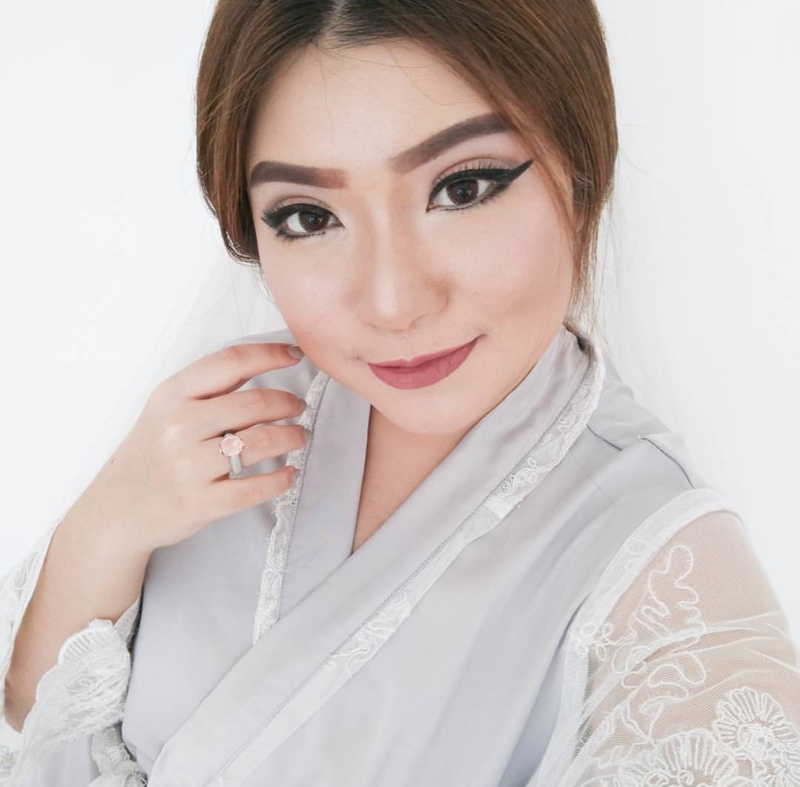 When she designed her bridal collections, Genevie wanted to make them traditionally appropriate for Chinese weddings, but also stylish enough for modern brides to continue wearing after their big day. Customers can choose to have their bridal sets gold plated, or in different solid gold variants. 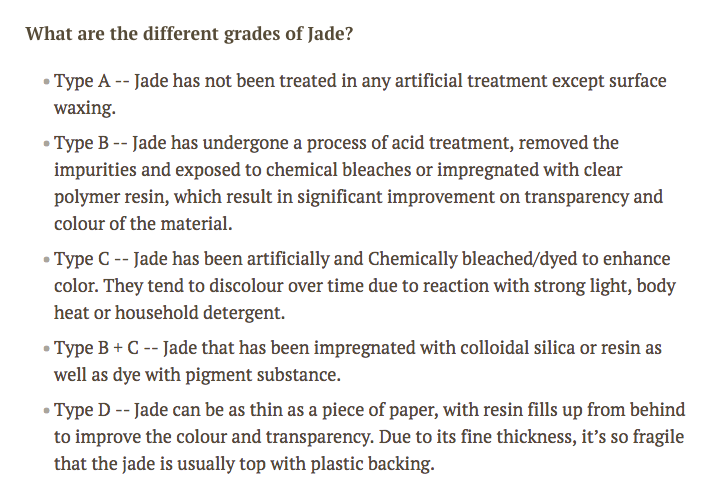 It is important to choose jade pieces that are of Grade A quality, which refers to jades that are not treated with any artificial treatment, except surface waxing. Green is not the only colour that jade comes in. Other natural colours that the gemstone can occur in are lavender, red, yellow, white and black. Genevie suggests styling a pair of jade earrings with a low-key white dress to achieve a minimalist and modern outfit. With four years of success to push her further, the entrepreneur shared that she would love to bring her brand overseas in the future. “There are talks and discussions to have our brand ventured into near regions like Hong Kong or Taiwan,” she said. With a 2-year-old son, and another to come in August, Genevie tells us she will be spending time nurturing her two little princes. “Family ties are important,” she says, and we can see how they constantly inspire her to create meaningful pieces of jewellery. 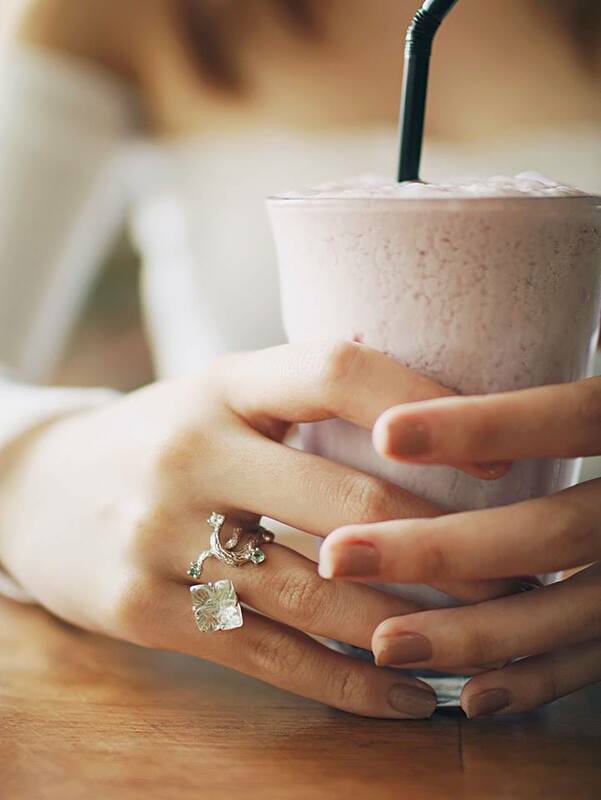 Find out more about Gen.K Jewelry here, and follow them on Facebook and Instagram.